I must admit if you are looking for something healthy this is NOT the post you want. Butter, powdered sugar, fluff, and Karo syrup are just a few of the ingredients. My attempt at this recipe from “The Novice Chef” did not look anything like hers but I will say they taste a lot like the originals. I decided to make mini cakes and I baked them for approx. 19 minutes. They should have cooked for about 12-15 minutes as mine were a little over done. I also used Bob’s Red Mill Gluten Free Flour and 1 1/2 tsp of Gluten Free Xanthan Gum to replace the flour. 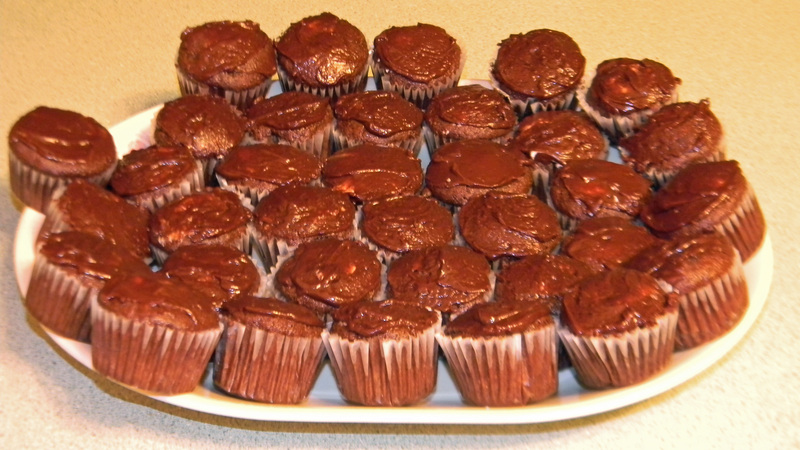 These cupcakes are quite a bit of work and lots of dirty dishes but would be a great addition to a special tea or party. I did not make the vanilla frosting because I was tired after making the cakes, filling them and then frosting (and its 9pm). 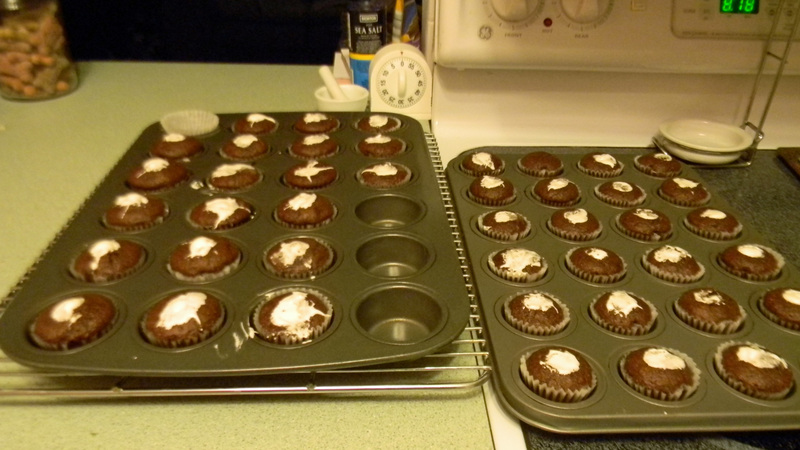 My frosting was not thin enough to dip the cakes in so I had to frost with a knife. I live in Florida and the humidity plays havoc with homemade frosting and candy from time to time. Thanks to “The Novice Chef” for a wonderful recipe! This entry was posted in Food, Food and Drink, Gluten free, Posts and tagged Gluten Free cupcakes, Gluten Free Hostess Cupcakes, gluten-free, Homemade Hostess Cupcakes. Bookmark the permalink. Great post. I love to eat cupcakes. cupcakes are easy to made. Coconut flour is used for making cakes as it is high in fiber and gluten free in nature.